What a great guide! 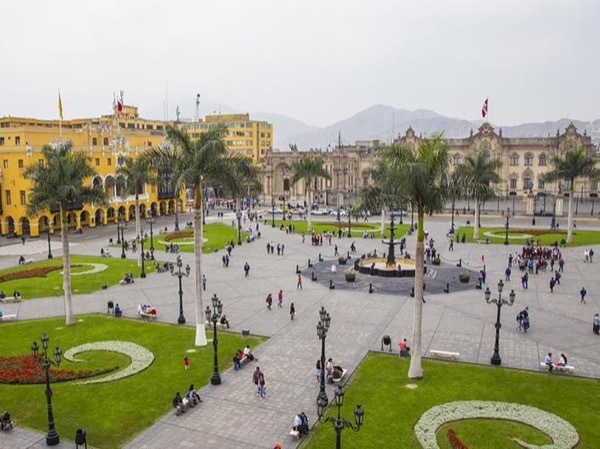 We spend two days together visiting Lima and the Pachacamac. Abel knows all the details about Peruvian history. But he is also very open for discussions about politics, economics and today living in Peru/Lima. As a matter of course, Abel adjusted the tour to our needs. We definitely had a very great time, enjoyed all the detail explications and the safe driving through the sometimes really crazy traffic of Lima by our driver Mario. this was a fascinating tour with a very knowledgeable guide, the journey to caral is almost as interesting as the place. abel is obviously very proud of his nations history and made a very good day of it, particulary acting as a translator for our official guide of caral. a very rewarding day. Abel was a great guide...we arrived and completely changed the itinerary on him and the place we wanted to be dropped off - it was no problem at all, he took it in stride and made the necessary adjustments immediately. We enjoyed our tour very much. Abel is very knowledgeable and his English is perfect. I highly recommend him to anyone! TOUR GUIDE RESPONSE: Muchas gracias to you guys. It was very nice to meet you. Abel planned a wonderful day of touring for our group while visiting Lima. We could not have asked for a better guide! He picked us up at the port gate and we rode in a luxury vehicle with AC as we toured the countryside on our way to Pachacamac ruins. He was so knowledgeable about everything we saw.....a wealth of information. He was also very flexible in making stops or altering plans to meet our needs. I highly recommend him!! Abel did a great job with our visit to the Pachacamac Ruins, Barranco, and the Peruvian horse show. We all had a terrific time. I can highly recommend this tour and Abel as a guide to all those in the Lima area who want to get out of the city for a day of exploring. TOUR GUIDE RESPONSE: Thank you for your good rate sir. Abel took us on a walking tour of Lima. He was wonderful - knowledgeable and very personable. He met us promptly at the agreed time. His grasp of the complicated history of his country made our tour very enjoyable. The pre-tour communications all went smoothly and his English is excellent. Abel is highly recommended. TOUR GUIDE RESPONSE: Thank you very much. I really appreaciate your nice comments.